The study of space and the universe has always evoked mystery and inspiration. The Centre’s Space exhibit gives audiences an unprecedented opportunity to explore the wonders of this unknown universe. 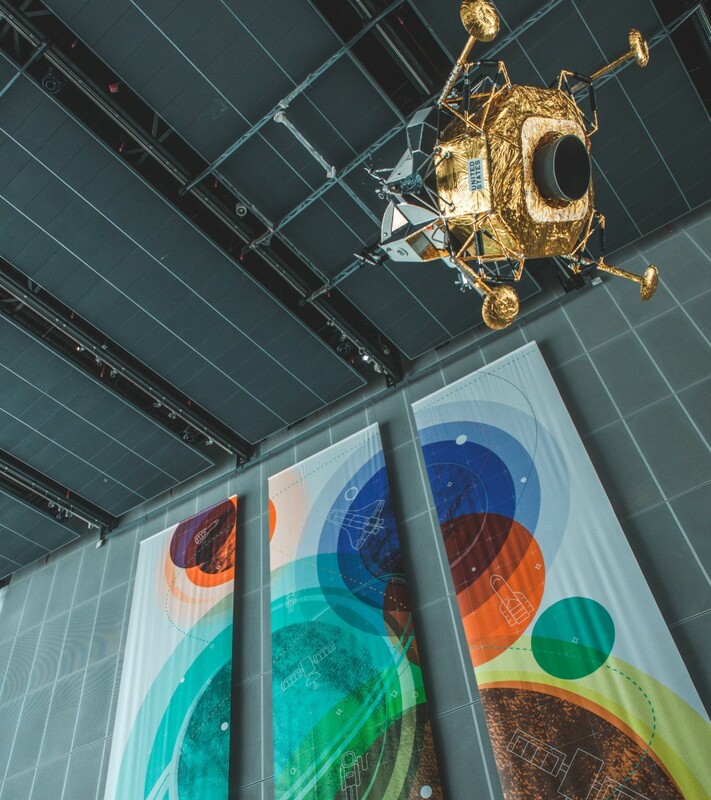 Visitors can observe the galaxies and the vast cosmos and get a glimpse of some of the most important discoveries in the history of space exploration. Some of the most important discoveries in particle physics are due to the work undertaken at the Large Hadron Collider, (LHC), a giant particle collider based near Geneva. It is considered the most complex experimental facility ever built. Visitors have a rare chance to see for themselves why this gargantuan scientific experiment is so important.